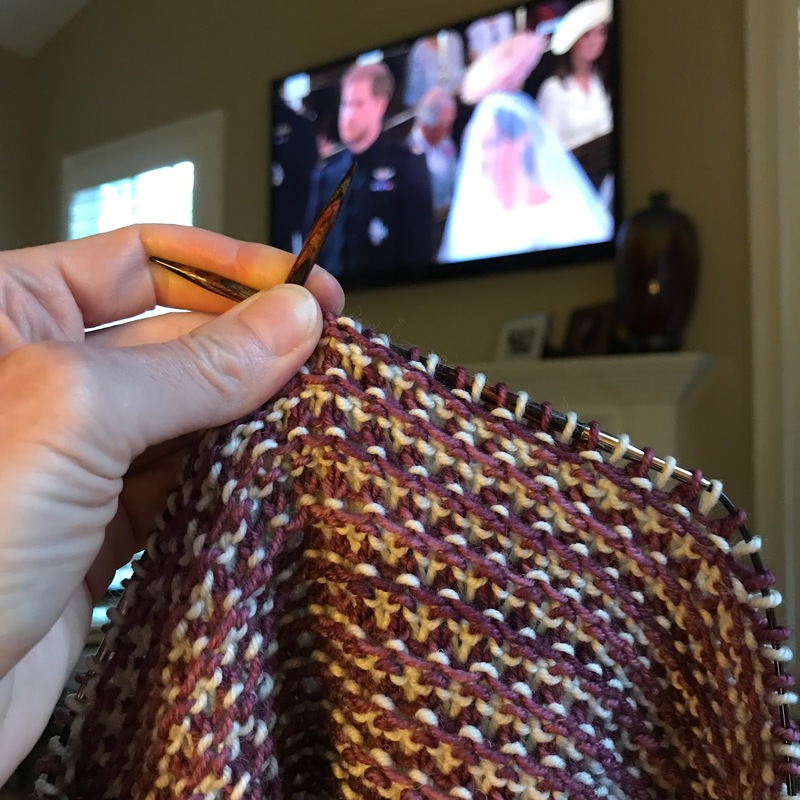 Unraveled Wednesday | The Blanket’s Tale (part two). 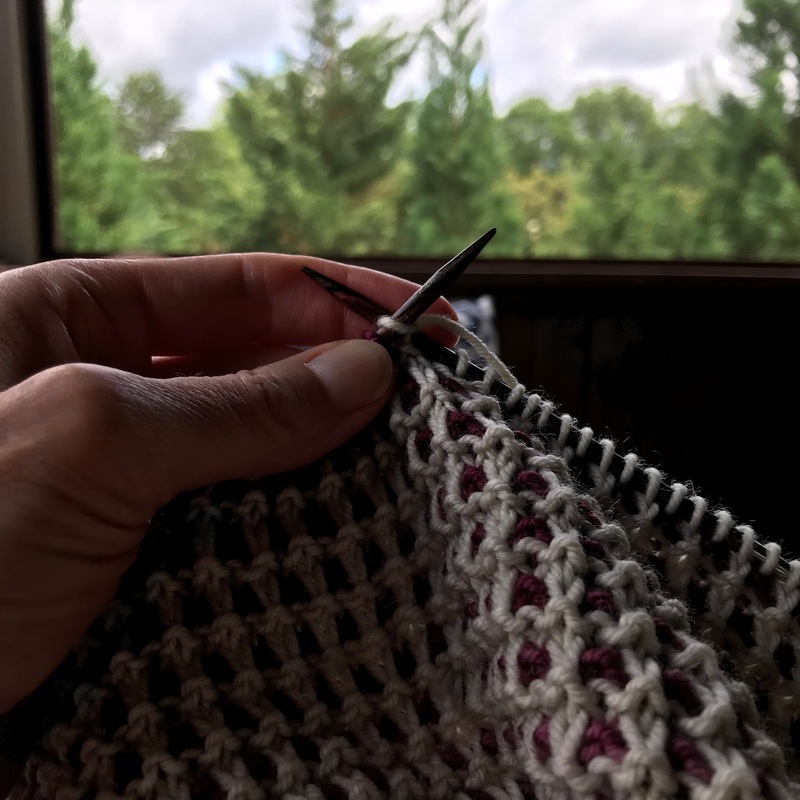 Joining in with Kat and friends to share another update on Sara’s blanket. 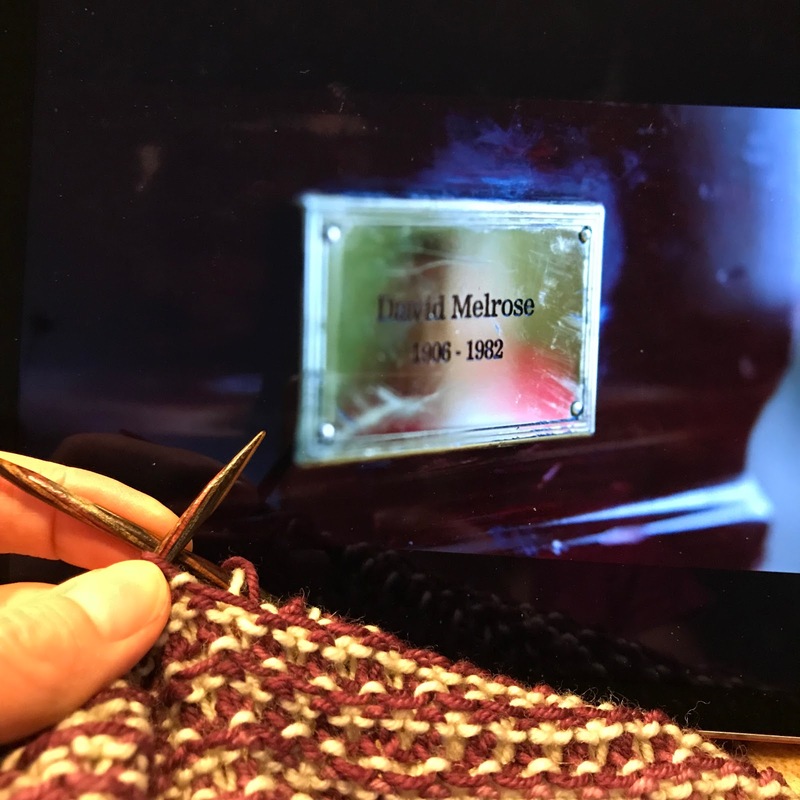 When I’m knitting something for someone else, I pay closer attention than usual to what sorts of experiences I “expose” the piece. And for an epic knit like this one, it can tell quite a tale! Here’s a brief glimpse of the best parts since I shared last week’s update. 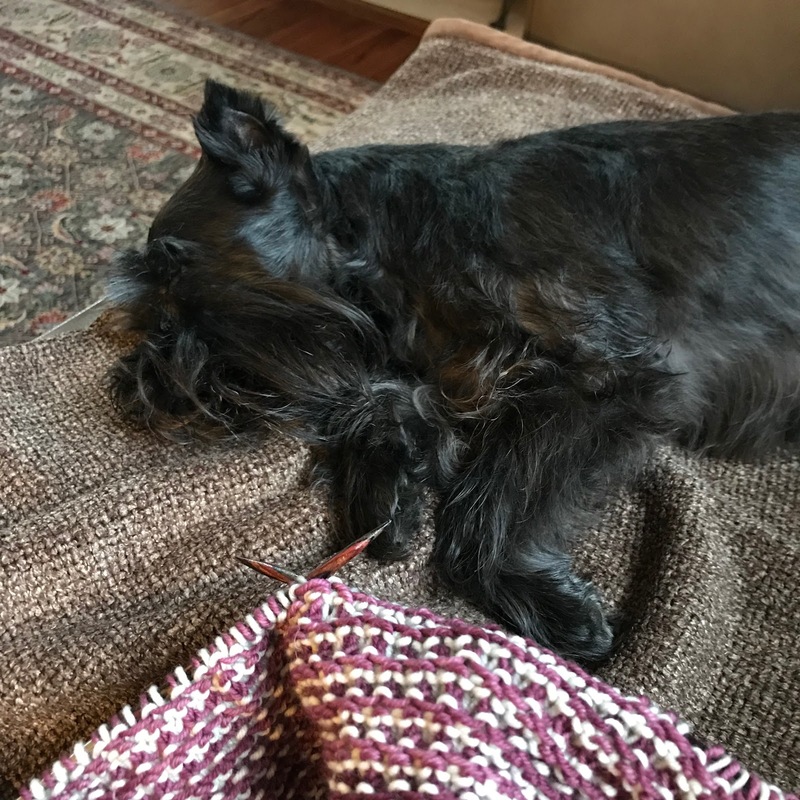 Sara and Holly have a special bond and much of this blanket’s at-home knitting time has been just like this. Time with a very special TV show. …because it has personal significance for Sara, too! Not bad for a week, right?! Now I’m curious what tale the next installment will tell. I’m not quite to the halfway point, but I have knitted through the two balls in last week’s photo. 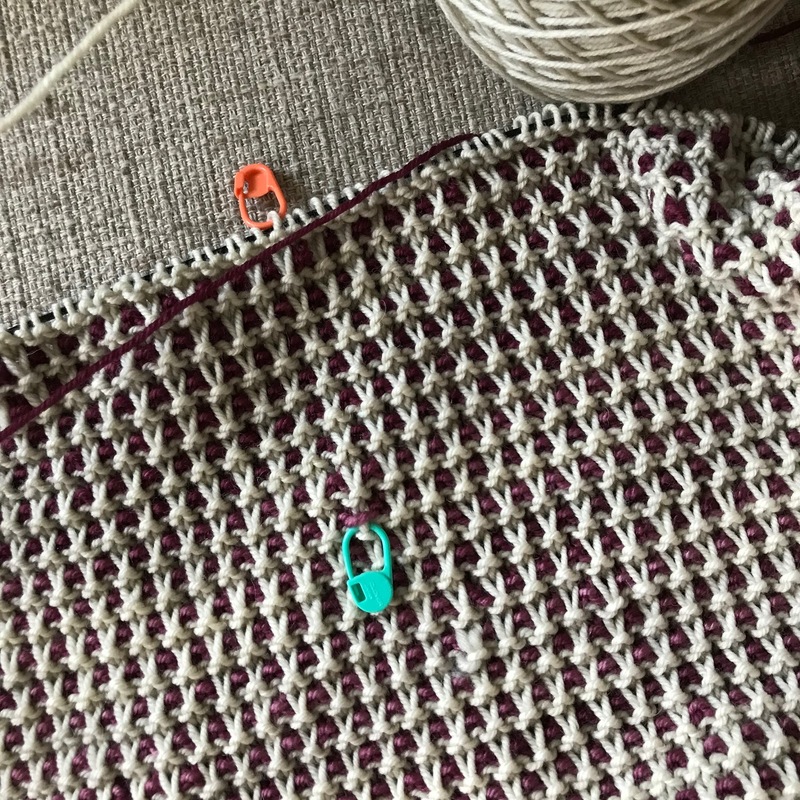 The color change from gradient 2 to gradient 3 is a bit more subtle – hence the locking marker so I can count the repeats. …and finally, I’m reminded that pausing every so often is good. Look what I found when I took the photo above. On the while-I’m-alone listening front, most of this week has been spent with Simon Vance (one of my all-time favorite narrators) reading A Tale of Two Cities. I have about five hours left to listen and this book would satisfy several of my Bingo squares, but I’m not sure I can wait til Saturday to find out how it ends! Has your knitting seen or heard anything especially good this week? why I love my scale. sorry you have to undo the knitting, drat but thank goodness you found it now than when it was off the needles 🙂 Right? Ah! The sweater's coming along quite beautifully, despite the slipped stitch boo-boo! I Love the documentation you're keeping and sharing…tells so many stories. Knit on! I admire your fixing skills if you can drop that down and correct the error, I'm afraid I'd have to rip all the way back. I love your blanket tale! Oh my! That is awesome to see Sara's name! Woot! And, I am not certain of my fix it skills to do that many rows! But, I have extreme confidence in your abilities! You are the best knitter I know! Although, I must admit – I could not get through the first Patrick Melrose book, it was too horrific to read, and I have struggled mightily with the first 2 episodes. I have had to break them up to watch them in bits. The memories are as painful to watch as they were to listen too. That blanket is so special! I was thinking how I could incorporate something into the blanket that I'm making for baby Oliver. 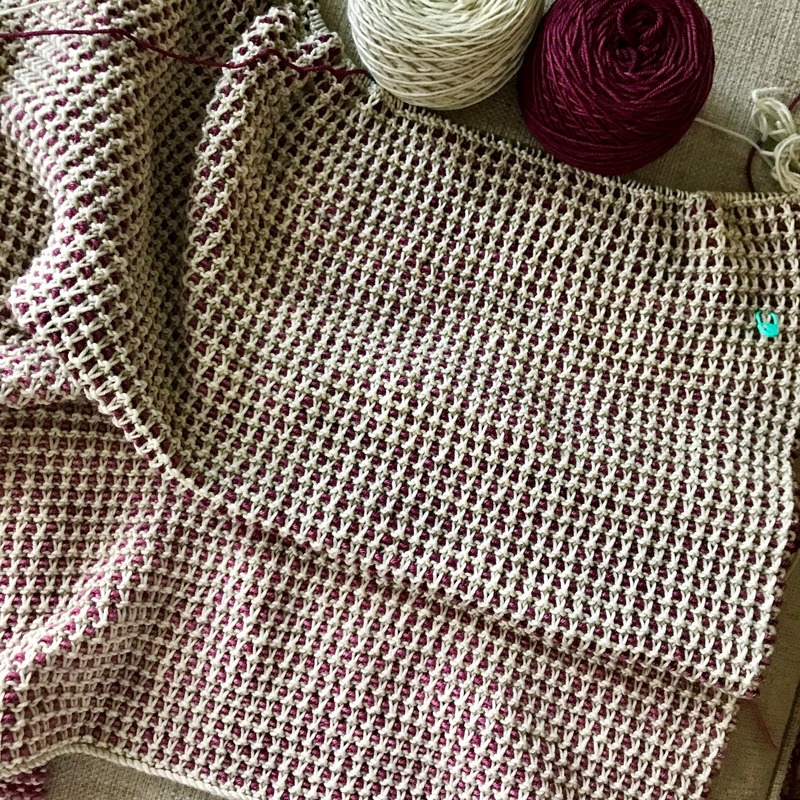 Maybe just a big fat purl in the middle of one stockinette square. No one will notice it but it will be just for him! And Patrick is unknown to me as well…but what I've just looked up is pretty interesting! 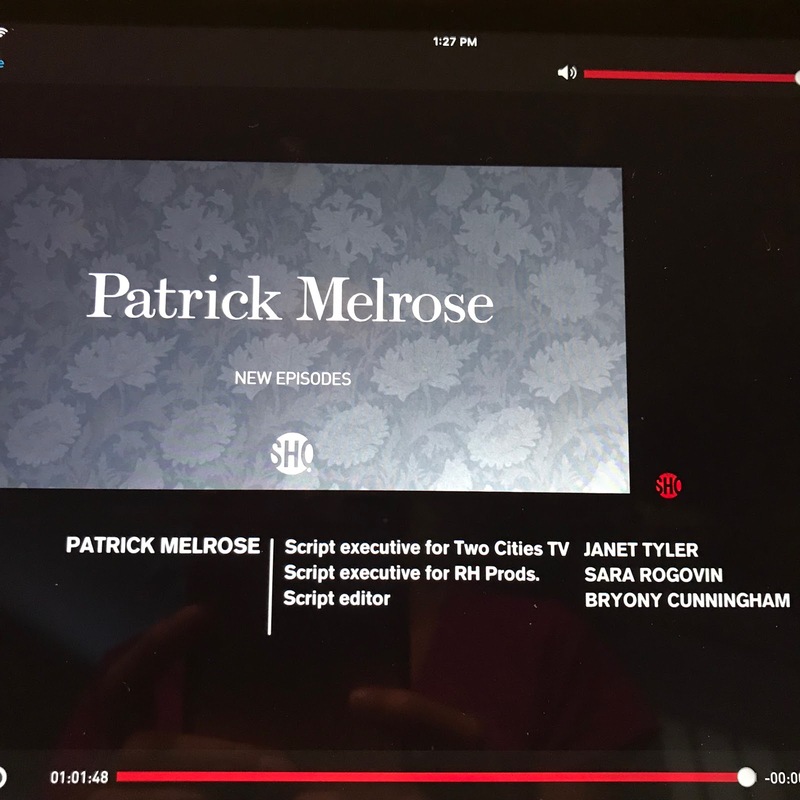 I don't know a thing about Patrick Melrose, either, but it's no less a thrill to see Sara's name in the credits!! Love all the wonderful stuff knit into that very attractive blanket. 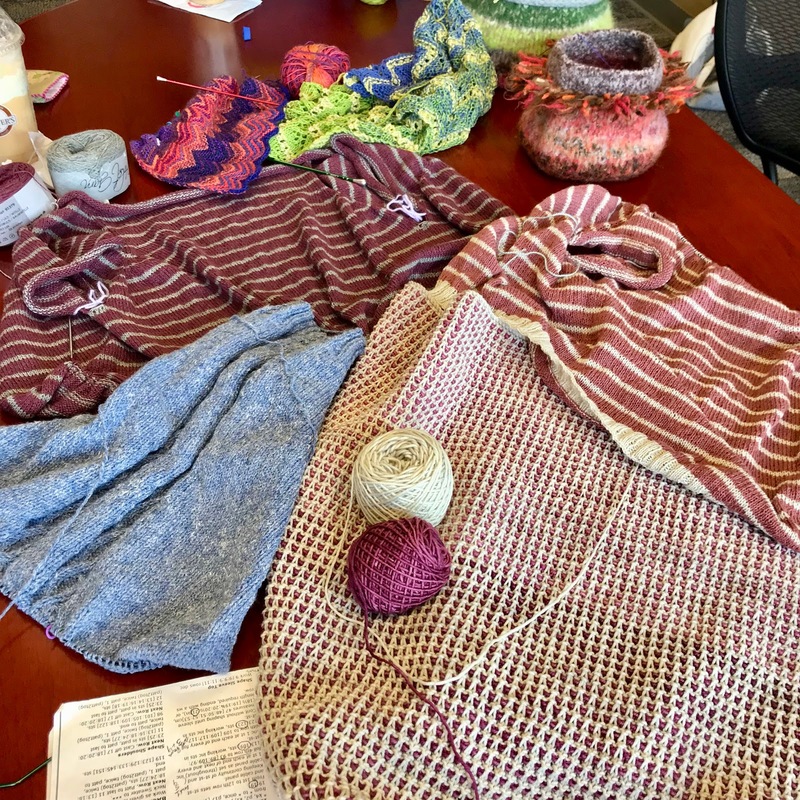 What an interesting concept – I've never stopped to think about the experiences my knitting is exposed to. It has certainly never been exposed to anything as sweet as Holly. : ) And what a neat thing to see Sara's name! My knitting has been stranded on the couch, only going out once to see the girls at SnB. It does not live in exciting times. I need to change that!